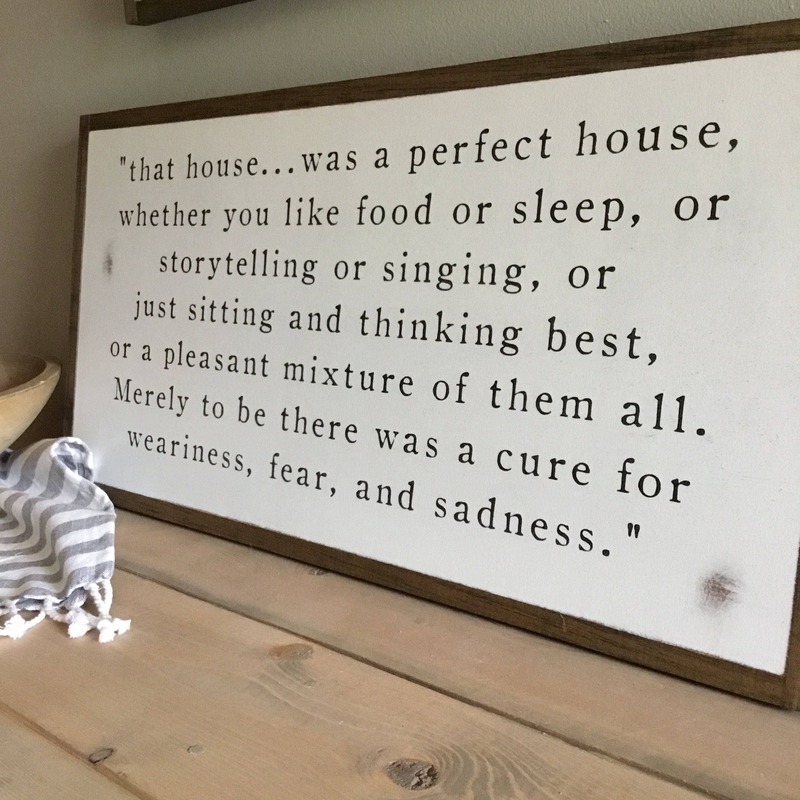 "That house was…a perfect house, whether you like food or sleep or story-telling or singing, or just sitting and thinking best, or a pleasant mixture of them all. 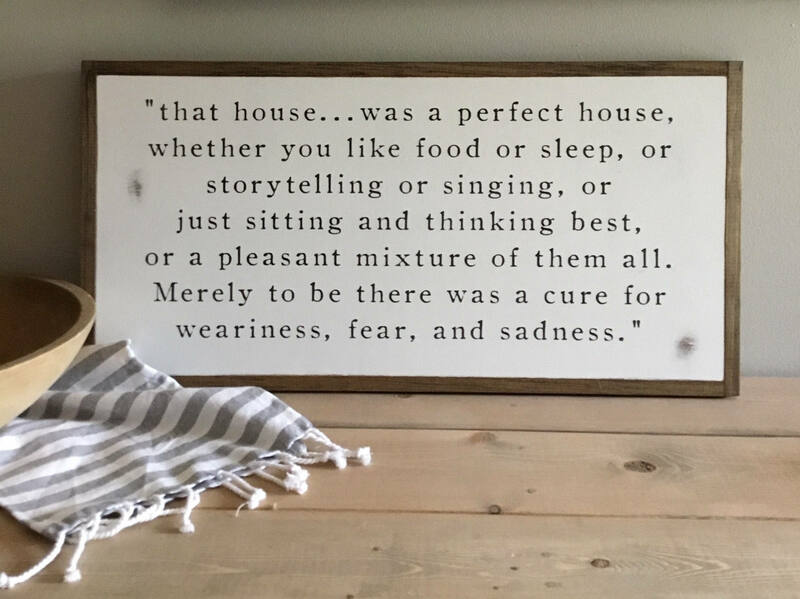 Merely to be there was a cure for weariness, fear and sadness." 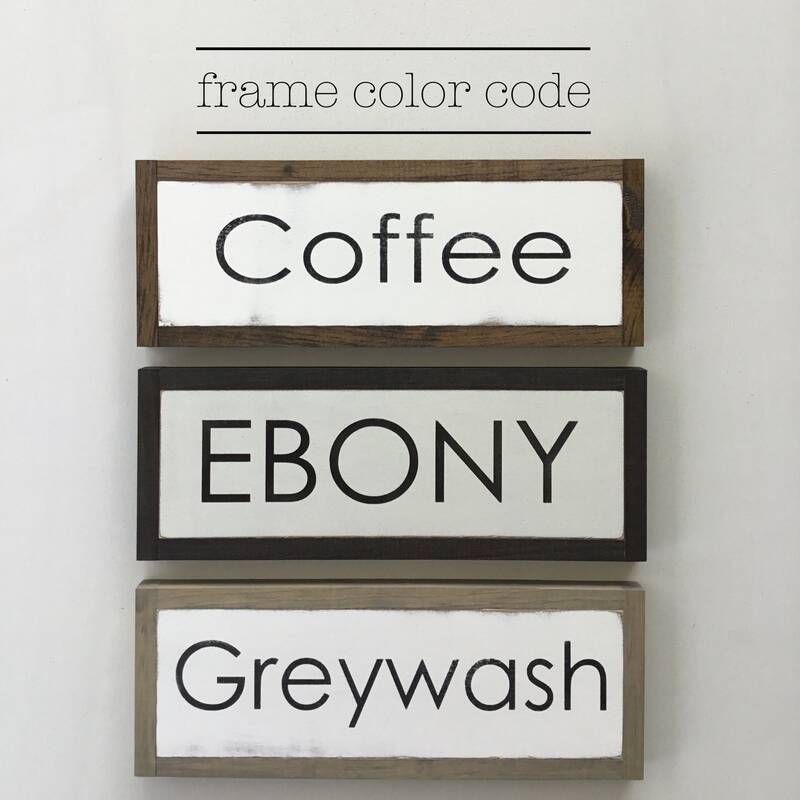 All our signs are MADE TO ORDER, and we are currently booked 3-4 weeks out on orders so your order will ship out within that timeframe or earlier. 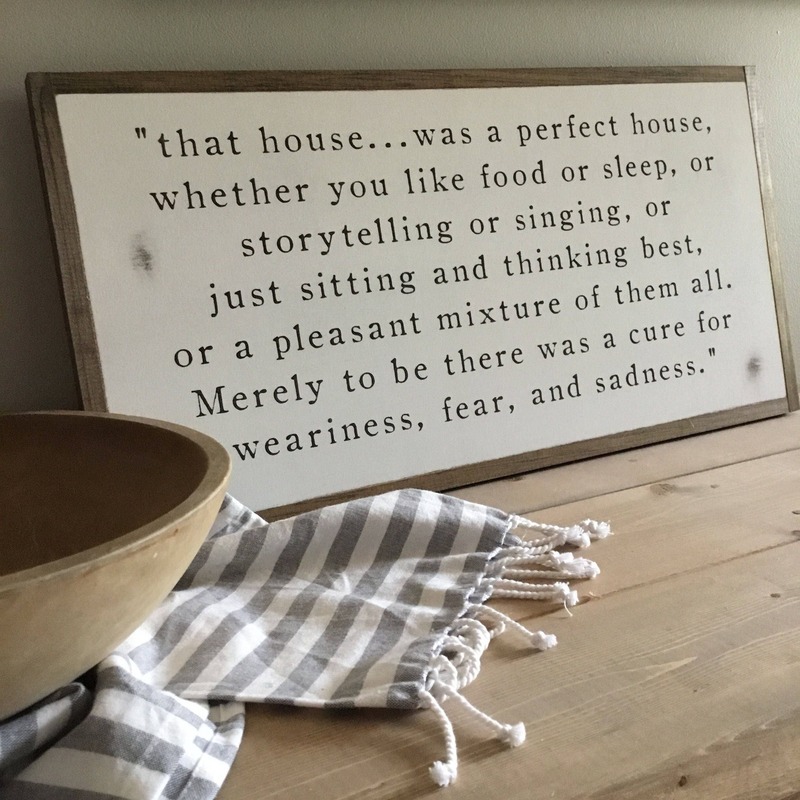 The perfect sign for our mantle. Just what I wanted! Very nice work. I appreciated the seller not distressing this for me. Thank you. Melody & Jamie do amazing work! So helpful and patient when I needed to change the shipping address. Thank you so much!